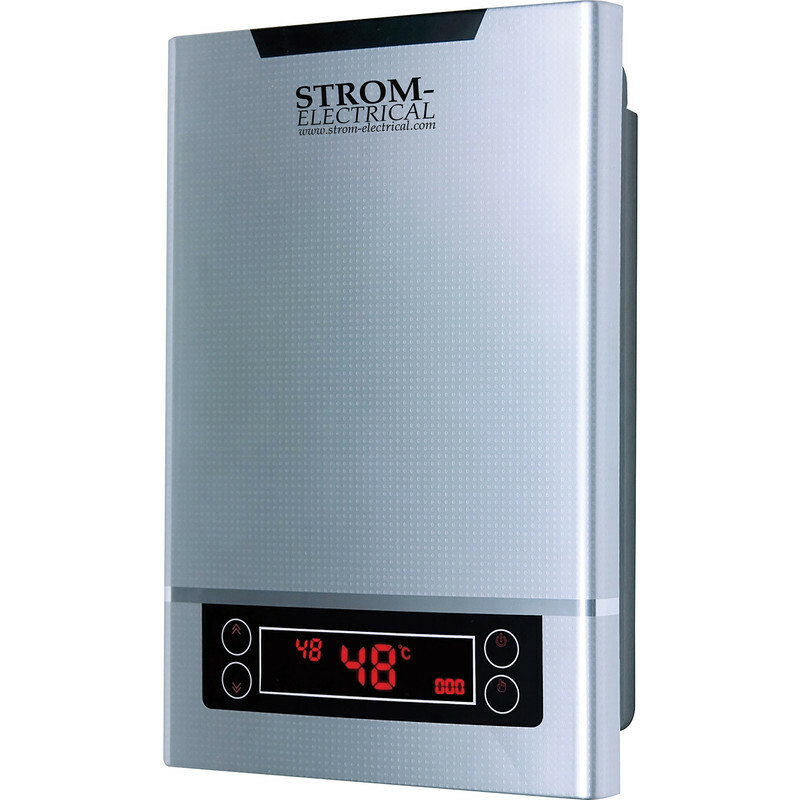 Three phase commercial water heater provides on-demand instantaneous hot water with good flow rates at multiple outlets across a commercial site. Glossy IMD splashproof cover. Utilises an enclosed loop heating system, with a multi-layer heating chamber reducing limescale build-up. Directly set and maintain output temperature automatically, using the large widescreen LED display with touch controls. Displays output temperature and target temperature. Provides information on power and water consumption and has an automatic fault detection with on-screen feedback. For technical advice please call 0333 344 2474. This product requires a 3 phase electrical supply and will be unsuitable for most domestic installations. Please consult with Strom for guidance on flowrates as this will vary by application.